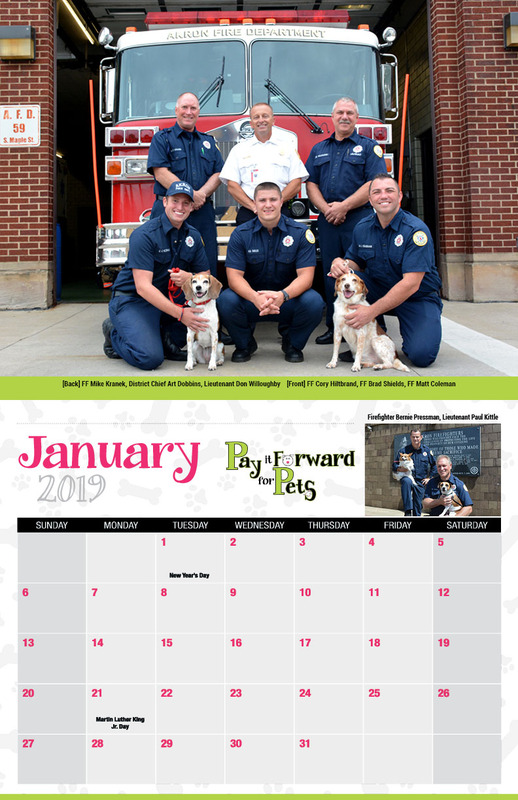 The Pay It Forward For Pets 2019 calendar project is designed to raise awareness of the plight of animals that end up in animal control facilities, shelters and rescues each year. According to the ASPCA, approximately 1.5 million animals are euthanized each year in shelters across the United States. Most of these pets lose their lives simply because of the need for space. 85% of Pay It Forward For Pets efforts are focused on Summit County Animal Control here in Akron, Ohio. “The Pound” processes twice the volume of animals of any other facility in the county and these orphans have the most immediate needs. The Akron Fire Department recognizes the importance pets have in our lives and want to work with them to make Akron a safer community for all of its citizens. 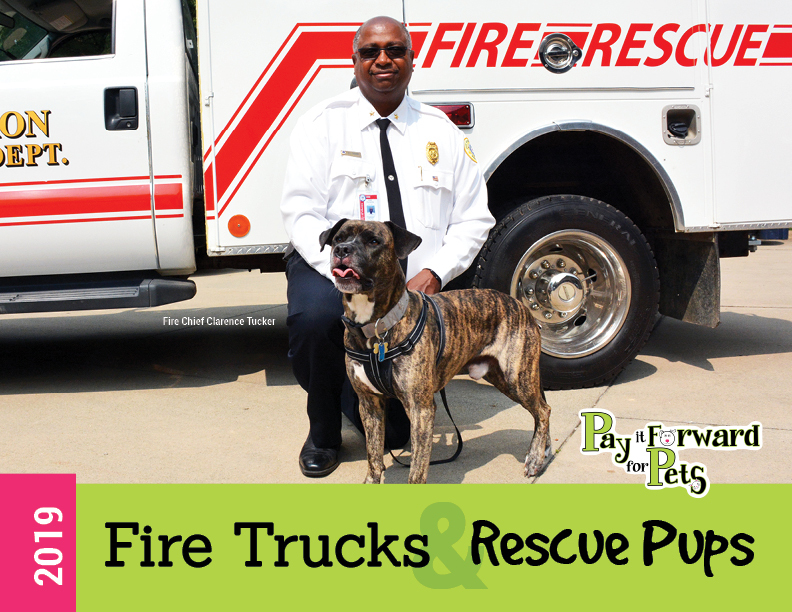 Collaboration between Pay It Forward for Pets and the Akron Fire Department has made for perfect partners on this project. Both organizations strive to improve the lives of people and “rescued” pets in the community through multiple established programs. 100% of proceeds will be used to support Pay It Forward For Pets 6 programs, benefiting animal welfare and our community! Sign up for our E-Newsletter today! Keep on top of our latest animal rescue news.